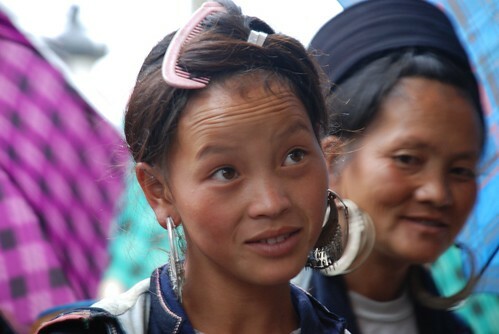 I love Sapa not because of the cool weather, but because in Sapa I can see the different ethnic minority cultures living with each other in peace. One thing which really surprised me was that most of the young minority girls get married when they are really young. 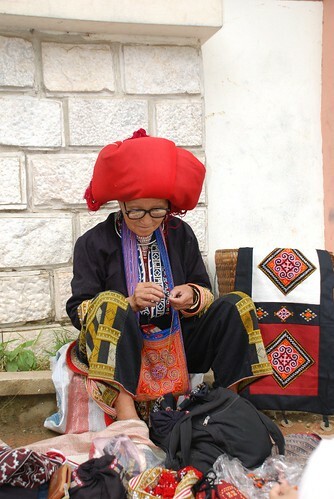 I talked to many different girls and ladies selling their handicrafts and most of them have a few kids at just 20 years old. It's difficult to imagine how they can possibly have a decent life when they have to be constantly concerned with selling their products to earn their daily income which is so dependent on tourists' moods. 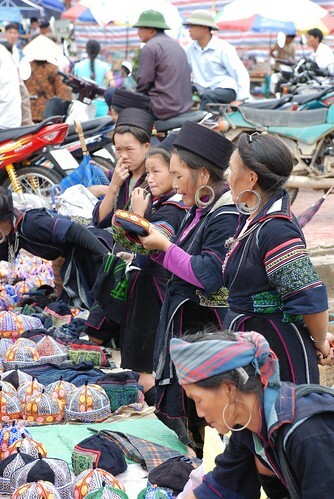 Most of the minority women selling handicrafts speak English quite well and with western accents which amazed me, and of course, they also can speak Vietnamese but sometimes not really well. They were teasing me heaps when I was there and most of the time I told them I am from Singapore but they didn't believe me. Most tourists try to help them out by buying something BUT when you buy from one girl, a few minutes later, ten other sellers will come and stand around trying to show you whatever they have. "You buy from her, not from me, it's not fair" or "You took photos of me then you should buy something from me" are common complaints. Some of them are really agressive in the way they speak and they try to put their products on your body and also they give a very high price. 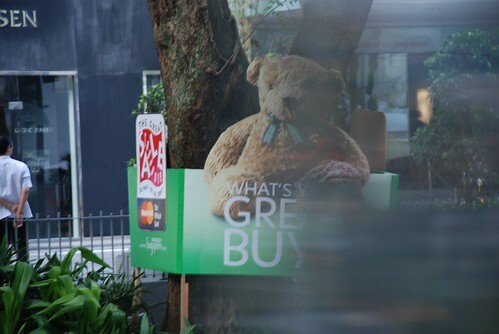 I have practiced my shopping skills heaps before here, so I bargain really well but always give them some extra at the end. I went to Sapa last weekend with some of my ex-colleagues who I used to work with five years ago when I first arrived in Hanoi. This is the fourth time I've been here and it always feels like the first time. 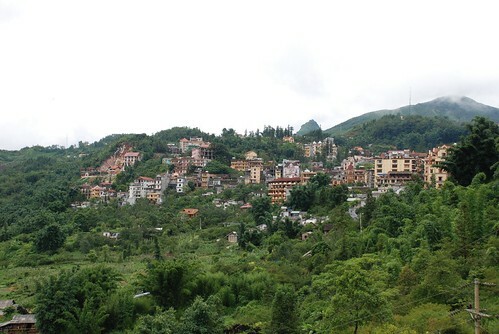 Sapa is such a beautiful mountain town with beautiful scenery and the friendly people impressed me so much. We went on Friday the 13th and my friends said this was not a good day but I'm not superstitious. We bought tickets ourselves and we made a big mistake as we ended up with six hard beds in a fan-only compartment and it was really hot, at 37 degrees. Oh my god! But it wasn't really bad when the train started moving and it was actually pretty cool early in the morning. We also couldn't book the hotel because most hotels I know were full, probably because it was the weekend! 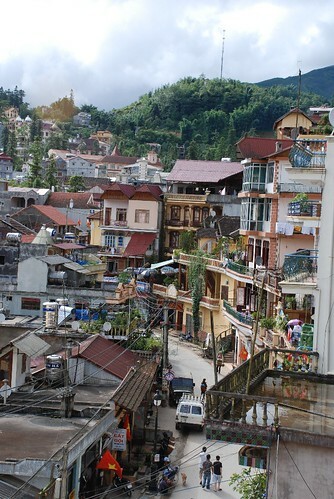 We arrived in Lao Cai at 5 am and took a mini bus with 10 other people up to Sapa. 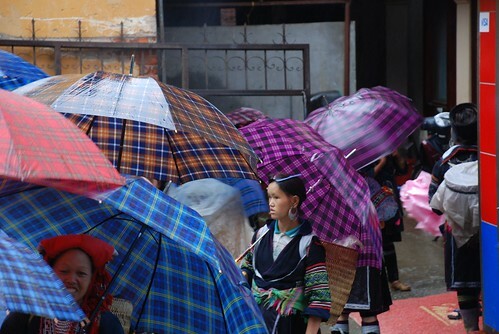 It cost 25,000Vnd and took 30 minutes to reach Sapa on a cool rainy morning which we didn't expect. Nice and different from the weather in Hanoi. After half an hour walking around looking for a room, we found a guest house which was clean with a good view and it cost 180,000Vnd per night. 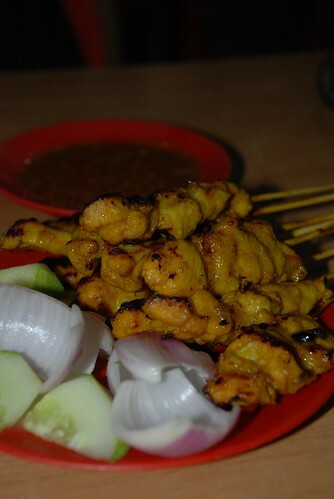 I realized that Malaysians think food is like sport by the way they talk together. They talk about food all the time. 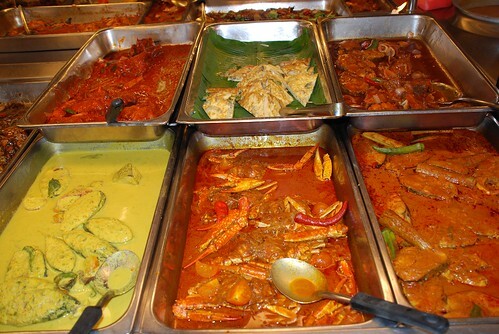 I understand now that Malaysia is a country of food. You can try all types of great food here from Western to Asian. I was very surprised about how may KFC and MacDonalds there are around Malaysia and they seem to be popular. These fast food restaurants are always busy! I wonder why they love fast food while they have hundreds of fantastic options available. I did make a dumb choice for one of my meals, however. 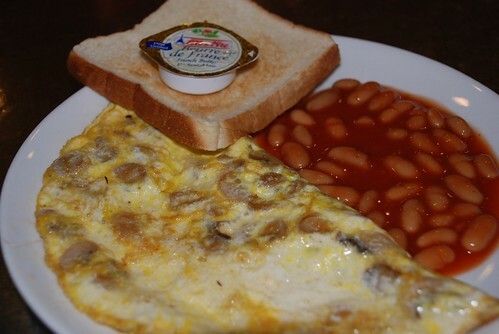 I had a chicken omelette with beans for my breakfast at the shopping center while I was waiting for my mother and sister. It was horrible and afterwards, I couldn't believe that I chose it. It was supposed to include a cup of tea but my tea never came. I should've known before that never eat anything in a shopping center. 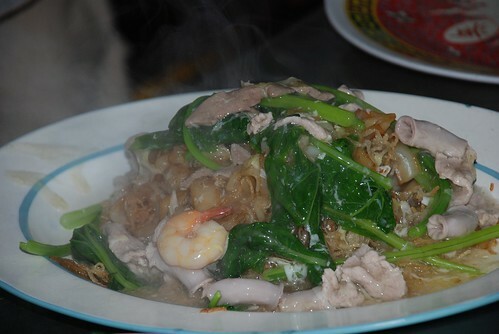 I stayed in Malaysia for a few days and I tried so many different cuisines from local, Chinese, Indian to Muslim food. I love food so I don't mind trying new things but, to be honest, I ate too many curries of both Malaysian and Indian style. One curry was so hot that it brought tears to my eyes, at Madam Kwan's restaurant, even though I'd told the staff to make it mild. I suppose my idea of mild is different to theirs! I also enjoyed some great stir fried noodles and grilled chicken with sate at the local Chinese restaurants and a fantastic Indian buffet at Nasi Kandar Penang. All in all, there's a lot to choose from in Malaysia. This is the second time I've been to Singapore and I think it's just too organized and too clean for me. 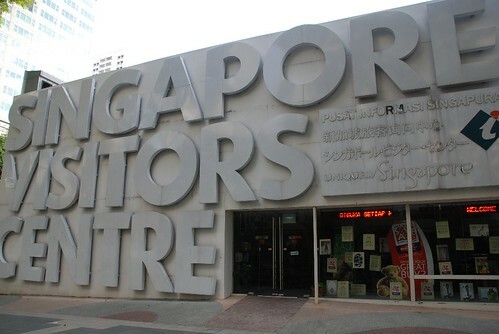 Of course, Singapore is a really nice city for shopping and very secure but I feel it's a bit boring. All that I could see were tall buildings and people walking past really fast and hardly anyone talking together or smiling like in Vietnam or some other Asian countries. Maybe Singapore people are too busy with work and always on the move? Most Asian people who come to Singapore love it because it's really modern and there are so many shopping centers which they don't have in their own countries. Malaysia is such a multi-cultural country which includes Indian, Muslim, Malaysian and Chinese people. 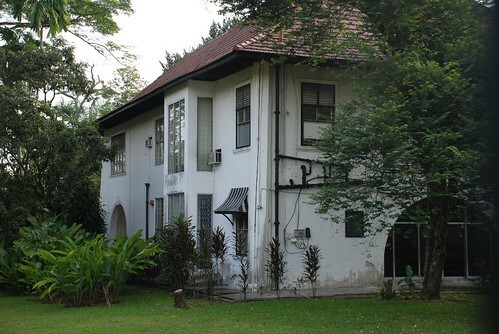 This had had an influence on the architecture that is easily recognized in the cities throughout Malaysia. On the way to the city from the airport you can see the most colorful part of Kuala Lumpur wherethere are several big tall buildings with different shapes. When you get into the city center, each districts buildings seem to be a different colour and I think this is related to the people who live there. China town has lots of similar houses with lots of charactor on both the side and the top of the houses. there's lots of Chinese writing on the signage on the houses, too. 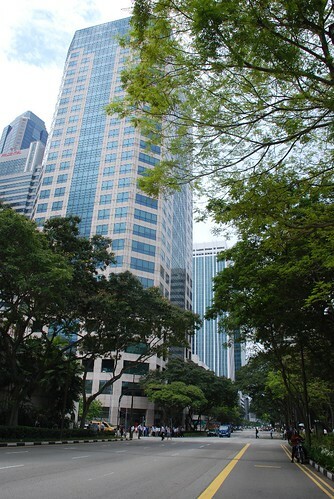 It makes this part of town look great and different to other parts of KL. I love China town alot. 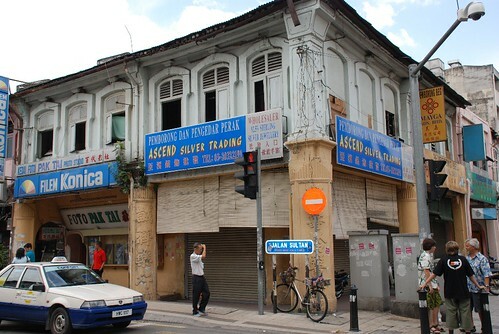 If you walk into the Merdeka Square area, you can see some beautiful Muslim buildings with hundred of years of history. 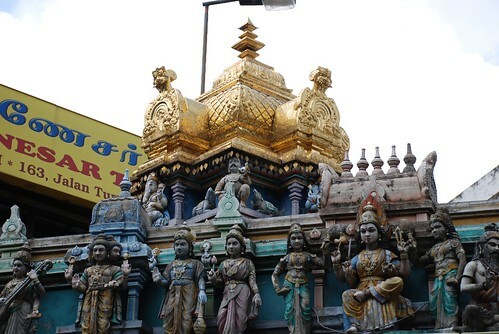 Between these places, there are hundreds of old churches and Indian temples and also lots of tall modern buildings. 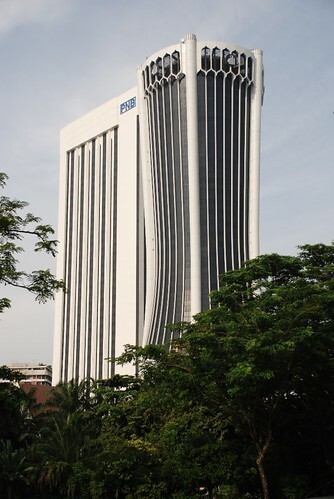 This gives Kuala Lumpur a lot of character as far as the architecture goes. 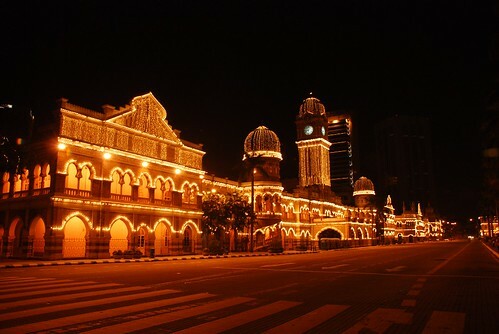 Come to Malaysia, go to Kuala Lumpur and you will agree with me that KL is quite a unique Asian city. 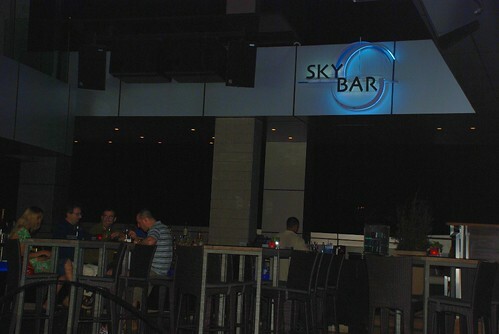 Sky bar is such a great bar located on top of Traders Hotel, Kuala Lumpur. This is a really nice bar with simple decoration. Drinks are a little bit expensive but it's worth every penny. My friend had to make a reservation in advance to make sure that we have a nice table with great city views and a view of the PETRONAS Tower. When we arrived there, I was so pleased with our seats and the view. We also had seats in front of the swimming pool with lights on, the surrounding are just really nice. The bar was full when we arrived but it wasn't noisy at all, the music was low and people were talking together gently which made a relaxing atmosphere for conversations with friends. 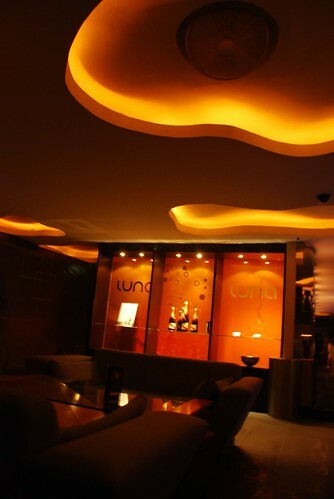 Luna Bar is another night bar which is on the top of the Pacific Regency Hotel Suites. A very nice bar, but the cocktails were really bad and really expensive. 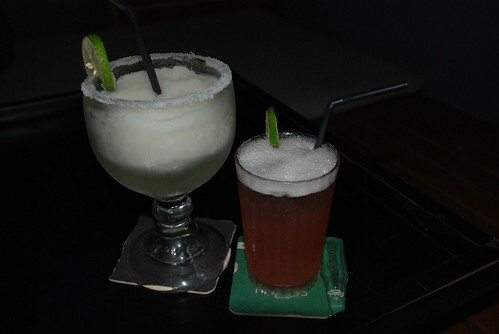 We thought about a beer instead but ended up trying four different cocktails which were quite disappointing. It was a shame because they had everything, nice swimming pool, great location, friendly staff, amazing view. I do love the toilet there to be honest. This is the best toilet I've ever seen. I felt like I was peeing down the tower through the glass. I would come back to this place just to check out the toilet again for sure :). My friend wanted to show me all aspects of the nightlife. The Queen was another stop and this is one of the most popular gay bars in Kuala Lumpur. The night life in KL is just amazing, so wild especially if you come to this bar. It was so crowded with young people around, dancing and smoking. Beer and drinks here wasn't expensive at all. This is a really late bar which people come to from 11.30 pm till 4 am. As I mentioned in the previous post, Malaysia is a really modern city and they have great transportation system. It helped me so much to travel around KL. I used the 'Hop On Hop Off' bus for my city tour. I paid only R$38 for the whole day! The bus also provided head phones with recorded information about all of the stops. You can get off the bus at any stop and get back on 45 minutes later. Traveling around KL by taxi is not a good idea at all because of the cost, especially from the airport. There are quite a few different levels of taxi for you to choose from budget taxi up to deluxe. I took the premier taxi - a very old Mercedes - and it cost R117 which is over $30 and I couldn't even wind the window down. But it is possible to make a deal with the taxi driver for long distance trips or even inside the city. A friend told me that later. 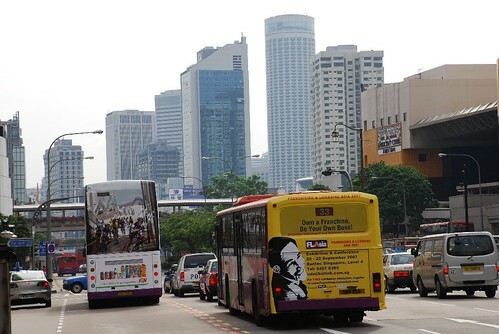 The normal bus system is another good option for getting around KL. They provide big buses with air conditioning, which are clean and comfortable. For less than a dollar that you can travel from one place to another. 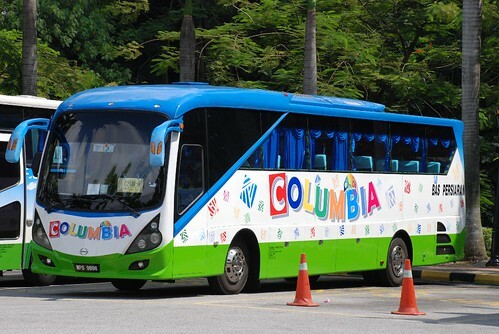 The local bus from KL to Melaka was really nice and there was plenty of leg room and it was a pleasant trip. But I wasn't happy with the mean bus driver from Maleka to Singapore at all. He was so rude by the way he spoke to everyone but the trip was fine. Thank god I made it to Singapore. The sky train is also a great to get around KL for both day time or in the evening. It's really clean and not really fast so I could see everything happening out the window. All in all, the transport in KL is pretty convenient.